We serve where you are! Contact us for a FREE, no-strings-attached consultation. Your business doesn’t need to suffer from an inadequate web presence any longer. You’ve got customers to satisfy, products to sell, and information to communicate. We can help. Why Should I Buy a Website From a Local Website Company? -When you search for ‘web design’ does this company come up high in search? If they cannot achieve rank for their own site, how can you expect them to accomplish this for your’s? -Does the company have an in-house staff that can handle all your needs? It is often important to choose a company that can do design work, development, content creation, SEO, SEM services, email marketing, video production and more. -Check references. We recommend calling 5-10 companies and ask them how efficient their process was and how happy they are with the job they did. -What support do they offer after your site is up? -Do they offer post-launch reviews and recommendations to keep you at the top of search results? The fact is most large, national firms have a ‘cookie-cutter’ approach. Your content is not custom, rather they pull generic content from content mills, which means you will not achieve search rank. Typically a good local firm will guide you thru the process of achieving the best results and have a vested interest in your results. After all, they may see you in town and want to feel good about the job they did. How Do We Get Our Business on Page 1 of Google? This Is a Great Question, and we know how to get you to page 1 of Google fast! Google Ads: You can pay Google, BING and Yahoo to place your ads in their “sponsored ads” section at the top of results. This involves us creating a budget based on keyword competition and geographic reach. 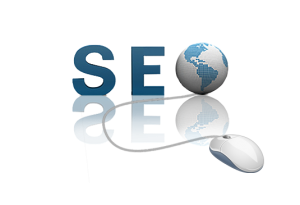 SEO: We offer both on-page (content SEO) and off-page strategies. We include on-page SEO with all website projects, however this does not always land you on the first page. Most non-competitive categories however do get page 1 results from this strategy. Off-page is required if the content does not get the results you desire, and this involves us establishing a list of keywords and geographic areas you wish to target. The prices range from $599mo to $3000mo, depending on the number of keyword phrases you with to target. This is the most frequently asked question we get. 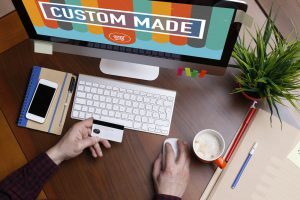 Custom websites are not “cookie cutter” like most templates. The cost involved ranges based on your needs greatly. -Content: Are we writing your content for you? -Photos: Are we taking professional photos of your business, products and staff? -Design: Are we creating or re-creating your logo? Are you needing custom graphics created for your website? -Marketing Automation: Are we creating lead conversion into your design? We recommend this as the reason you built your site in the first place should be to increase sales, right? After meeting with our online experts, we can give you a detailed quote that outlines the services you wish to take advantage of. Why Should I Build A Website Custom vs Template? -You can design your page however you wish, work with a designer to get the exact look you desire. Templates limit the amount of customization you can perform as the framework if already built when you buy one. -All code base is built manually and according the modern requirements for Google. Many templates use older code base and this will generally hurt your SEO and make your site obsolete faster. -In the event you want to “re skin” your site down the road, custom sites are easily redesigned. Templates are not very customizable. -The single biggest reason you should build custom is templates are known to be vulnerable to hacks. The primary reason for this is the older code base, lack of plugin updating and use of bad plugins that are not recommended. Why Is Mobile Responsive Design So Important? Over 90% of consumers search online daily from a mobile device! Since our inception we have built all sites in this format. We were actually the first company in Central Illinois to offer this feature. -If your website is not mobile responsive, many customers will leave your site when on mobile device immediately. -Over 70% of all searches are from phones and /or tablet devices. -Mobile responsive design uses a single code base to track all website visits, thus optimizing your site. -Other important features of responsive design are: “click to call”, “click to email” and easy quote request forms.